“In the trucking industry, few things will sour a manager’s mood like a mechanical failure disabling an 18-wheel rig in the middle of a big delivery,” writes The Wall Street Journal (March 12, 2019). But if mechanics can predict when a pump or cable or other component is about to fail, they can avoid having a truck stuck on the side of the road. 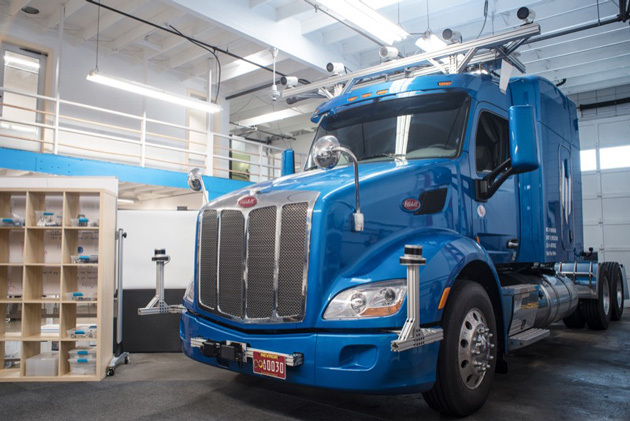 NFI Industries Inc., a $2 billion N.J.-based company, is using artificial intelligence to anticipate when the truck components in its 2,200 tractors and 9,700 trailers need adjusting or replacing. By predicting maintenance and reducing malfunctions, NFI expects to reduce truck maintenance and repair costs by 7%, or $1.5-$2 million a year. NFI’s data is taken from truck sensors, odometers, speedometers, repair logs, temperature logs and other sources. The information collected includes truck ages, route distances, payload weights, weather conditions, driving conditions, and even the braking and accelerating styles of individual drivers. That data is analyzed by Noodle.ai, a San Francisco startup that pushes the information through a supercomputer nicknamed The Beast. Noodle.ai’s machine learning technology synthesizes the disparate bits of data to determine when a $100,000 rig needs an oil change, a filter replacement, a brake adjustment or a new set of tires. As a result, NFI is jettisoning a sacrosanct industry ritual: regular truck maintenance and mandatory oil changes every 30,000 miles. Instead, the company is switching to less frequent tuneups, as prescribed by AI, that are based on a truck’s age, wear, driving conditions and a host of other factors. NFI’s trucks break down about twice a year, on average. The company expects predictive maintenance to reduce those mishaps to 1.5 breakdowns a year per truck. Among the surprising insights AI has produced: NFI had been procuring a truck model from a manufacturer that offered a $10,000 purchase incentive per truck. But over a lifespan of five to six years, that truck model was costing NFI about $25,000 more in maintenance and repair than other trucks. What is the difference between predictive and preventive maintenance? What is the role of AI at NFI?